Our client believes diversity is essential to their mission as a firm: letting them develop better ideas, respond to the needs of their clients, and ensure that their people can fulfil their potential. They recognise that in order to deliver excellence in their work, they need to have the best people – and the best people are found in the widest pool of talent. They have asked us to help the find female candidates for the role of Quantitative Developer. 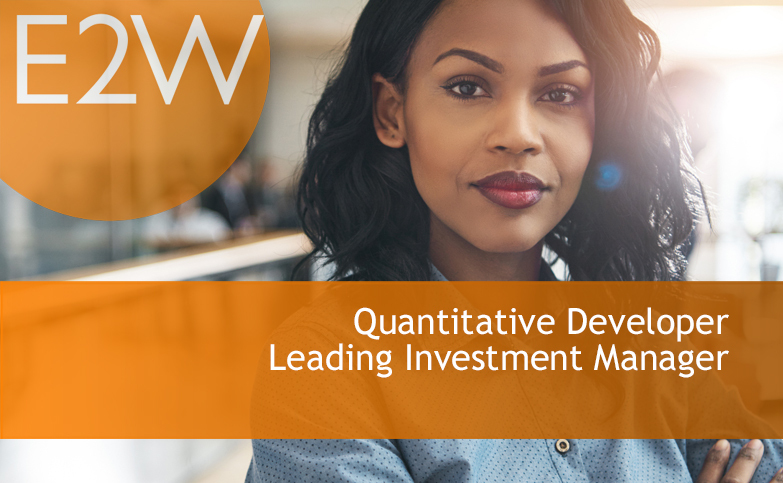 The Diversified Alternatives Team is seeking a resourceful Quantitative Developer to take ownership of the IT architecture and data platform supporting a global multi-asset quantitative investment team. The ideal candidate will be a self-starter ready to hit the ground running. The role will offer significant flexibility to develop and implement a robust platform of custom built and third party applications to meet the requirements of a diverse, global investment team. The candidate must have excellent coding experience (Python, C# and SQL essential), analytical skills and a strong desire to continuously learn about the financial industry. Must be able to deliver and work effectively in a team-based manner to ensure the software delivered meets the business needs and timelines. Candidate must be able to participate in design and development and should be comfortable with direct communication with technical, management and business resources.